Lagos, NG — It’s the worship season, the drums are rolling. Feel the anticipation, the good news is everywhere. 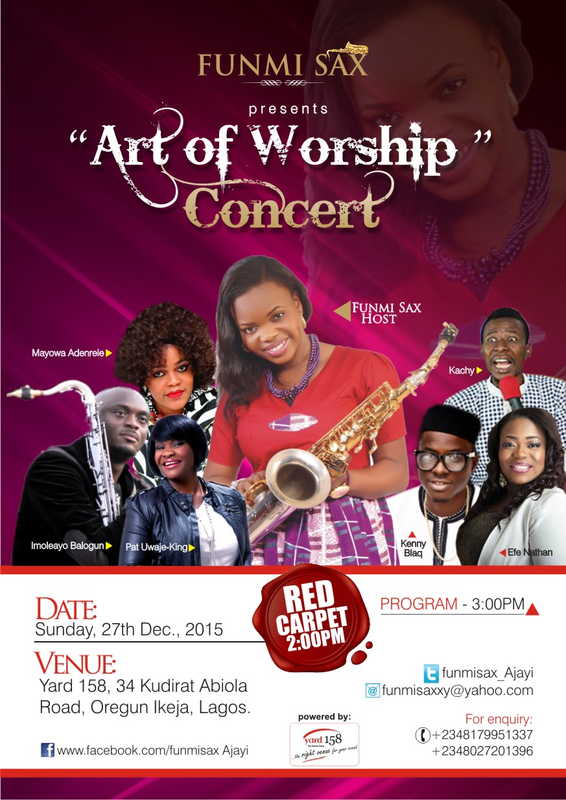 Renowned saxophonist, ‘FunmiSax Ajayi’ wraps the year 2015 up with a great music concert themed ‘Art of Worship’. The event series now in its second edition, promises to be a blast, featuring an incredible collection of soul-lifting, faith-building and inspirational songs. Venue: Yard 158; 34 Kudirat Abiola Road, Oregun-Lagos.